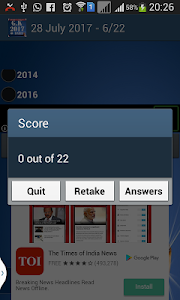 1) 10,000+ question answers of Current Affairs & GK . 2) Total Offline App. There is no need of internet after downloading the app. 3) Daily Updates FREE OF COST. 4) Answers of all questions given. 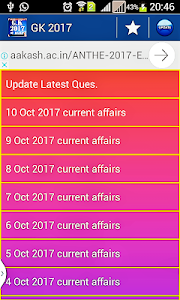 5) GK & current affairs - datewise, so that students can find all topics easily for a particular date. 6) Best study material. 100% accurate answers. 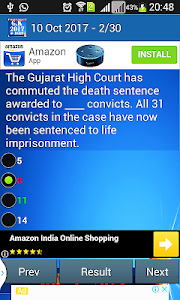 8) All categories: International gk & Current Affairs, Indian gk & Current Affairs, Sports, Awards, Famous Personalities, Defence, Economy, Science, Technology, Environment, Business, Appointments, Organisations, Politics, Policies and Announcements, Monetary Policies, Mergers and Acquisitions, Major Conferences, Changing governments, Ministers etc. 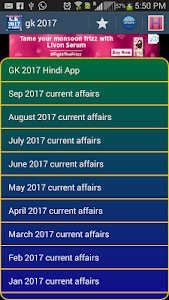 ** Get GK & Current Affairs on your Whatsapp also. 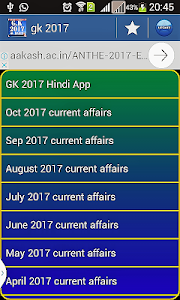 Type "GK IN ENGLISH" & send to Whatsapp no:- 7355787481. 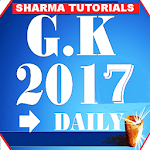 If you want GK in hindi, Type "GK IN HINDI" & send to Whatsapp no:- 7355787481. 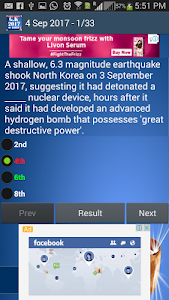 Similar to "GK 2017-18 & Current Affairs/सामान्य ज्ञान"